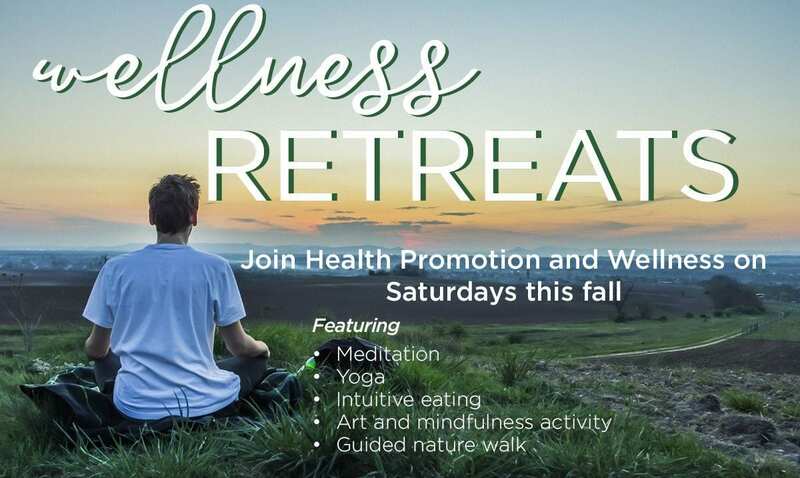 See what’s new from the Health Promotion and Wellness department within University Health Services at Penn State University Park. THON might be one of the most exciting times as a Penn State student. Walking into the BJC with the stands filled and a smile on every individual’s face is a memory no person will ever forget. Last year, I stood for approximately 40 hours over the duration of the Dance Marathon. During that time, I was able to understand the true impact that lack of sleep can have on an individual. As a peer educator I learned the importance of sleep, but I had never experienced the symptoms and impact of sleep deprivation. As a result of being sleep deprived, I constantly found myself forgetting conversations, I did not know the time, and when I last ate. I experienced hallucinations, muscle fatigue, and even illness all because my body did not get the recommended amount of sleep. After the weekend was over it took several days to “repay” the sleep debt. Here are a few tips for you as THON weekend approaches. Harvard Health shares the importance of getting enough sleep and the impact sleep can have on memory, safety, mood, and disease (1). Research shows that sleep helps the brain commit new information to memory through a process called memory consolidation. In order to experience the benefits of sleep, aim for 7-9 hours of sleep per night and a consistent sleep-wake schedule. No matter the reason for losing sleep, it is important to repay sleep debt as soon as possible to ensure that we stay healthy and our memories are stored for that next big exam! It is important for us as students to recognize when physical exhaustion takes over. Make sure to stay hydrated, eat healthy meals, and take frequent naps during your 2019 THON experience. Most Penn State students are doing a good job of making health a priority. In a recent survey, 89% of Penn State students described their health as “good, very good, or excellent (1).” Many students meet the recommendations for physical activity (56%) and a majority report healthy habits when it comes to sexual health (80%). Despite this good news, there’s a growing area of concern about vaping and the use of e-cigarettes. There is a significant increase in the number of Penn State students regularly using these products. In 2016, 4% of Penn State students reported vaping or using e-cigarettes in the past 30 days. In 2018, this statistic jumped to 16% of students. Students perceive their peers to be vaping much more than they actually are. Eighty-six percent of students perceive other students vape or use e-cigarettes, when it is only 16% (1). This misperception could be contributing to the increase in vaping over the past two years. Studies show that students who overestimate how much their peers use a substance such as cigarettes or alcohol are more likely to try the substance or increase their own use (2). Social influences are strong determinants of health behavior as well as marketing and low perception of risk. Unfortunately, the use of e-cigarettes, especially high-nicotine versions, can lead to nicotine addiction. Researchers predict that dependence on nicotine caused by e-cigarettes may lead many young users to eventually turn to cigarettes (3). Nicotine addiction can be hard to beat, but quitting is possible. Health Promotion and Wellness can help! Get the support you need to quit for good. Schedule an appointment at www.studentaffairs.psu.edu/healthmyUHS or call 814-863-0461. Ask for the Freedom from Smoking program. This program addresses all types of nicotine and tobacco use, including vaping and e-cigarettes. Warner, K.E., Mendez, D. E-cigarettes: Comparing the possible risks of increasing smoking initiation with the potential benefits of increasing smoking cessation. Nicotine & Tobacco Research, 2018, 1-7. 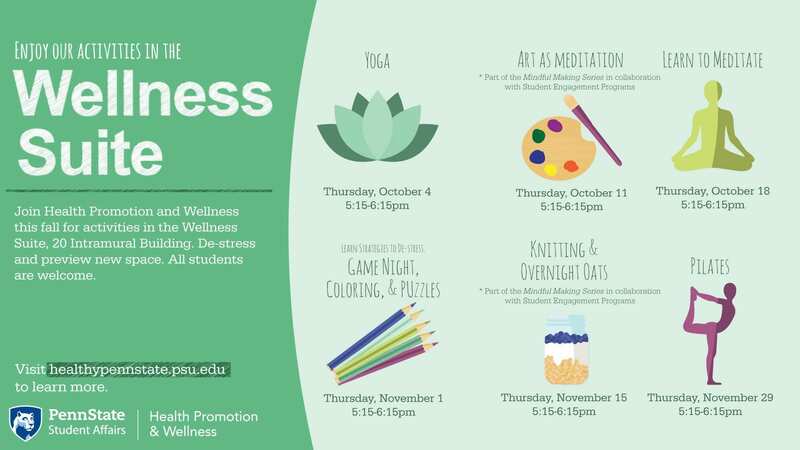 Health Promotion and Wellness is happy to offer stress reducing activities for students throughout the 2019 spring semester. All activities are held in the Wellness Suite and are free to students. No registration or experience required. Meditation Mondays 6:00 -7:00pm in the Wellness Suite. Stop by, grab a meditation pillow and relax. Meditation pillows are provided, no experience required. Wellness Wednesdays happen each Wednesday in the suite 4:00-4:45pm. Join HealthWorks for an interactive activity about stress reduction strategies. 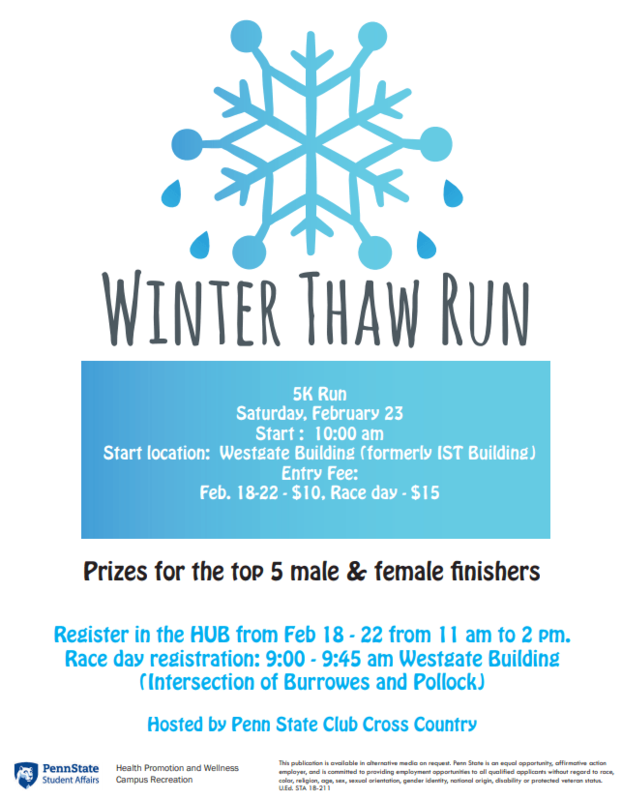 These activities start January 9. *Part of the Mindful Making Series in collaboration with Student Engagement Programs. The Wellness Suite is located in 20 IM Building and is open M-F 8am-5pm in addition to the activities listed above. Many students give up sleep to meet the demands of a busy schedule. The overall effect negatively impacts productivity. Do you have trouble falling asleep? Do you wake up frequently throughout the night? What stands between you and the recommended 7-9 hours of sleep each night? Could it be your nutrition? Eating before bed can affect how well you sleep during the night (1). Heavy, high-fat foods may cause bloating and stomach pain that can keep you from a restful sleep. Spicy foods may cause heartburn or indigestion which can keep you up at night. However, going to sleep on an empty stomach can also cause a sleepless night. If you’re hungry, try a light snack, like a bowl of cereal with low-fat milk, about an hour before going to bed (2). In addition to decreased energy and productivity, current research links inadequate sleep with weight gain and type 2 diabetes. Although exact causes are unclear, one theory for weight gain is that inadequate sleep disrupts hormone levels that regulate appetite and food intake (3). This means that a lack of sleep may cause you to eat. Are you interested in learning more about sleep or nutrition? Health Promotion and Wellness offers free one-on-one wellness services to students. Topics include stress and time management, sleep, physical activity, nutrition, healthy relationships and sexual health. HealthWorks peer educators provide the services. These services are FREE and are in the Wellness Suite, 020 IM Building. To schedule an appointment, call 814-863-0461. 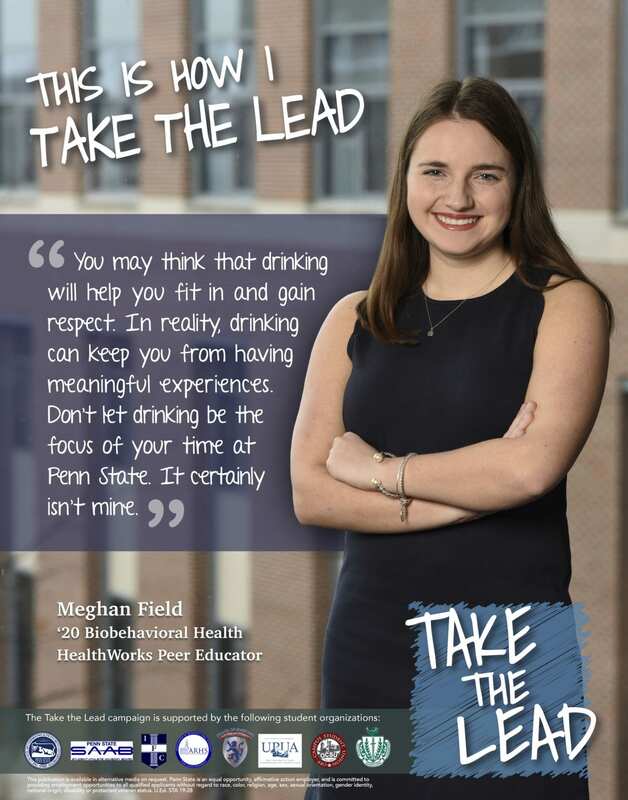 The 2018 Take the Lead Campaign is in full swing! Check out Penn State student leaders by clicking here. Featured student, Meghan Field, shares with peers how she takes the lead on campus. Her message to students is “You may think that drinking will help you fit in and gain respect. In reality, drinking can keep you from having meaningful experiences. Don’t let drinking be the focus of your time at Penn State.” Penn State offers many free services for students concerned about their alcohol use: Self-Help Resources. Your social network and schedule play a big role in the choices you make when it comes to nutrition. These choices can look different for everyone. Do your friends and family prefer to dine out or cook? Do you add meal times to your schedule or do you hope to get a meal in between other activities? Dining out can be a great way to catch up with friends and family. However, the dining environment doesn’t always lend itself to healthy choices. Restaurants are notorious for serving large portions, heavily salted foods and high saturated fat content (1). Cooking at home can be a healthier alternative because you can control the ingredients including seasoning foods with spices other than salt and utilizing healthy fats such as olive oil or avocado oil. Plus, cooking for yourself is less expensive than dining out. Having friends and family support these choices can create a positive wellness environment. Just as you schedule time for classes and meetings, scheduling time for meals is important to creating healthy living strategies. Food fuels your body and more specifically your brain. Taking the time to eat balanced and consistent meals and snacks can benefit your overall well-being. One study showed a significant association between happiness and consuming breakfast (2). Creating a space to make healthy nutrition choices is important for overall wellness. Take a moment to think about whether your environment supports eating healthy. If you feel that it doesn’t and need help making changes schedule an appointment with a dietitian in Health Promotion and Wellness. Appointments are free and can be made on myUHS or by calling 814-863-0461. American Heart Association. Eat Fast Food. http://www.heart.org/HEARTORG/HealthyLiving/HealthyEating/DiningOut/Eating-Fast-Food_UCM_301473_Article.jsp#.W3W7iIWcGUk. Accessed August 16, 2018. Lesani, A., Mohammadpoorasl, A., Javadi, M., Esfeh, J., Fakhari, A. Eating and Weight Disorders – Studies on Anorexia, Bulimia and Obesity. Dec. 2016: 21(4) 645-651.